This patient in her 60's had severe ptosis, or drooping of the upper eyelids eyes at the time of surgery. This patient in her 60's had severe ptosis, or drooping, of the upper eyelids at the time of surgery. 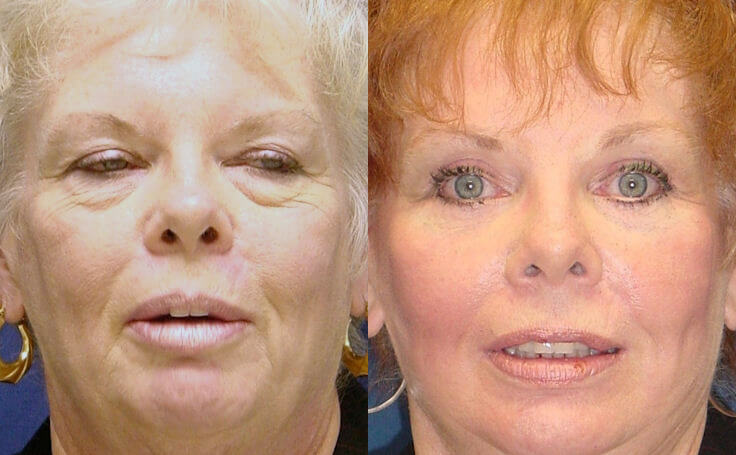 Dr. Ricardo L. Rodriguez performed upper Eyelid Surgery on the patient in Baltimore, Maryland. The surgical result was a softer and much younger facial appearance.